Miami – Both the Orlando Regional Operations Center Cyber Task Force and the Miami Regional Operations Center Cyber High Tech Squad, units of the Florida Department of Law Enforcement, arrested Dafod Narinesingh-39 of Trinidad in Miami. He was charged with 15 counts of promoting the sexual performance of a child and one count of soliciting a parent to engage in sexual activity with a child. Narinesingh was arrested by FDLE agents at the Miami International Airport on August 26, 2013. This coming after a month long investigation showed that Narinesingh was using internet chat rooms to seek out children for sexual activity in the United States. The prosecution of this case will be led by the 9th Judicial Circuit of the State Attorney Office. 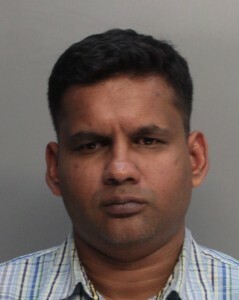 Narinesingh is currently being held in the Miami-Dade County Jail on an $117,500 bond.